INDIANAPOLIS — For many kids, Christmas is all about the presents. While the toy crazes have changed over the years, one thing remains unchanged: some parents will do anything to get their hands on the must-have toy of the year. Parents seeking this year’s L.O.L Surprise! dolls or Scruff-A-Luv pets, were likely the recipients of the must-have toys when they were kids. Perhaps Transformers, Cabbage Patch Kids or Beanie Babies? One of the biggest toy crazes of the early '80s were Cabbage Patch Kids. Some parents seeking the coveted companions even resorted to buying knockoff dolls. Former WRTV reporter Jack Rinehart investigated the very real threat of counterfeit Cabbage Patch dolls in 1984. Authorities were kept busy tracking the knockoff kids that were reported to smell of pesticide or kerosene. Instead of coming in the traditional Cabbage Patch Kids packaging, the imitation dolls were wrapped in plastic and even came with fake adoption papers. The Tickle Me Elmo phenomenon of 1996 had some Hoosiers going to great lengths to get one of the laughing dolls. An Indianapolis radio station gave five contestants the chance to win a Tickle Me Elmo doll by performing a series of tasks. 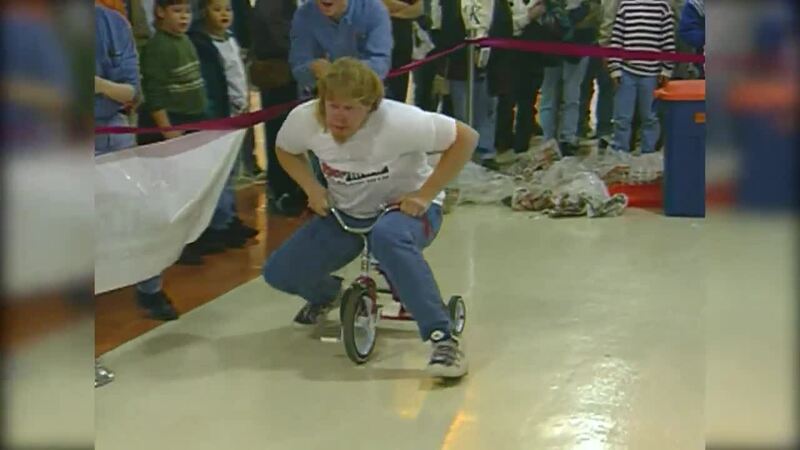 Participants had to ride a tricycle, eat a huge cookie and search through a garbage can. The winner of the contest, Richard Courtney, told Channel 6 that he had never heard of the Elmo doll until the day of the contest. He also walked away with $500. And in 1998, some shoppers walked away empty handed. The cold temperatures proved too much for a few of the dozens lined up outside the Eastgate Mall on Indy’s east side. The prized present? A Furby. Remember those? Regardless of the craze, it’s likely a tradition that will continue for years. While the internet has alleviated some of the madness, some parents will always go the extra mile to ensure that smile on Christmas morning.